Commercial drivers that transport hazardous materials must do so in accordance with the U.S. Department of Transportation (DOT) regulations. The license they then hold is called a Commercial Drivers License (CDL). The level of CDL (A, B, or C) will determine the gross weight of the transporting vehicle. Furthermore, DOT has limited certain types of chemicals from being packed with other reactive chemicals. DOT has also established the type of container (drum, tote, pallet, tank, etc.) and the material of the container (fiberboard, poly, steel, etc.) to be used with specific chemicals. The information that is readily at hand that helps a Labpack chemist to pack chemicals correctly is the U.S. DOT Hazardous Materials Handbook. This handbook is a condensed version of the Code of Federal Regulations 49 CFR for transportation. It is usually a small paperback guide that categorizes thousands of specific (Acetic Acid %) chemicals, as well as non-specific (Acid, Corrosive, not otherwise specified) chemicals. How does one know that a chemical is of a certain variety? The easy answer is usually based upon the generator’s knowledge and the chemist’s experience. 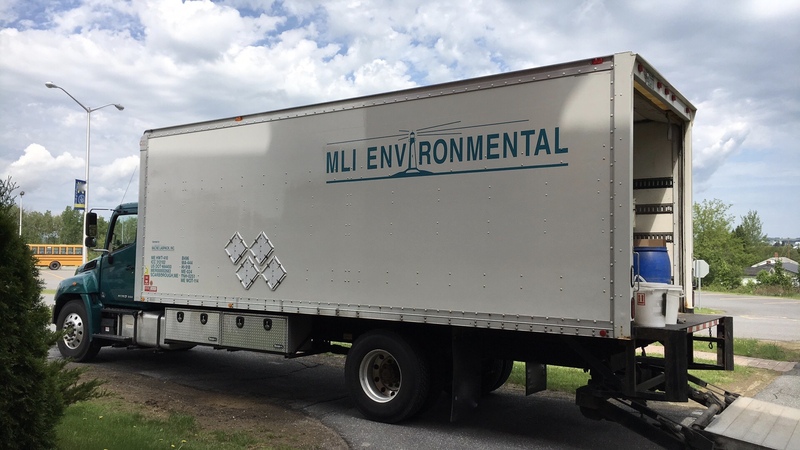 Chemists/Drivers that have been working at MLi Environmental have much experience in the determination of your spent and used chemicals. They can tell you the easiest way to figure this out. Should you not be able to get this information, an MLi Environmental Chemist can point you in the right direction and work with you to classify your waste such that we can pack it appropriately for disposal and transport. A quick call to us, an email with a picture, or establishing an appointment for us to walk through your facility are easy methods to get the ball rolling and clean up your facility’s environment. Move forward on your cleanup and reduce the liability issues that might negatively impact your valuable workers, and the related families.